The Norway Chess 2013 tournament will be played from 7th to 18th May in Stavanger, Norway. Sponsors and local authorities are investing 5 million NOK (approx 672,000 EUR) for the prize fund and organizational costs. GM Jon Ludvig Hammer has decided to come back to top level chess and participate in the strongest closed tournament ever in his country. Right after the official announcement of Norway Chess 2013 participants list, he gave an exclusive interview for the international version of Chessdom.com. Jon Ludvig Hammer, congratulations for playing Norway Chess 2013, and thank you for promptly agreeing on an interview for Chessdom.com. The event in May will be probably the strongest in history, chasing the record of Tal Memorial. What are your expectations? - My goal is to have fun, win at least one game, and not finish last. I think I can do it! You closely followed the process of the creation of the tournament, were you surprised the Norway Chess 2013 organizers managed to collect such a field? -Honestly? Yes. When they announced they wanted the top 10 from the rating list, I thought it was the ambitions of inexperienced organizers. Boy, did they prove me wrong. They set the bar at the top, and got all the players they wanted. I’m impressed! Minutes after the official announcement, you revealed some of your secret preparation in a tweet today, where you said “I’ve already started my preparation. First up: getting myself a decent suit for the opening ceremony.” After getting elegant for the opening ceremony, what will be your next key step? - I’ve been focusing mostly on school the past year. I have an exam in March, but after that, pretty much all my attention will be on chess and the Norway Chess tournament. Compared to these guys, my game has some flaws – but I’ll work on all of them. I’m highly motivated by this challenge. -I actually have two consecutive wins against Magnus – and three is a lucky number, right? Magnus doesn’t like losing, so he will bring his A-game. It’ll be one hell of a battle! 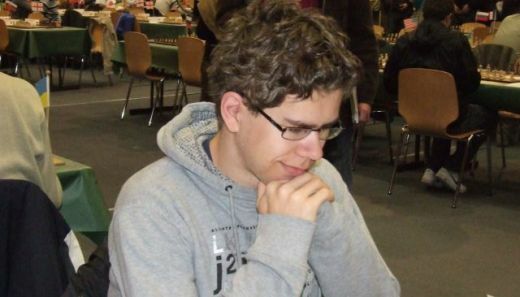 It has been announced that Peter Heine Nielsen will join Carlsen’s team for the Candidates. Nielsen himself said in an interview that he also coached JL Hammer. What is the experience of working with Peter Heine Nielsen? -Peter was the second for the Norwegian team during the Novi Sad ETCC in 2009. I got the silver medal on the first board! Needless to say, Peter was a fantastic help in preparing me for the games. He’s one of the good guys. Chess in Norway is growing in recent years. What would be the impact of this tournament for the development of chess in in the country? Do you expect more young people to join the sport or rather attract large corporate sponsorship on all levels? - I certainly hope so. We need to have good initiatives. This is one of them. There’s also a program for giving out chess sets and some basic instructions to schools. As long as there are good people with good initiatives, I think chess in Norway will get bigger and better. What are your plans for this year besides Norway Chess 2013? Do you plan to defend the trophy in Andorra Open? - I’ve just recently started working on my summer plans. I will play Norsk Sjakkfestival in Fagernes during Easter, and I hope to get a wildcard to the World Cup in Tromsø in August. I’ll probably play two or three more tournaments during the summer, but I’m undecided so far.